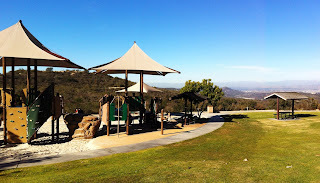 Alta Laguna Park is a fantastic neighborhood park located high in the hills overlooking Laguna Beach. 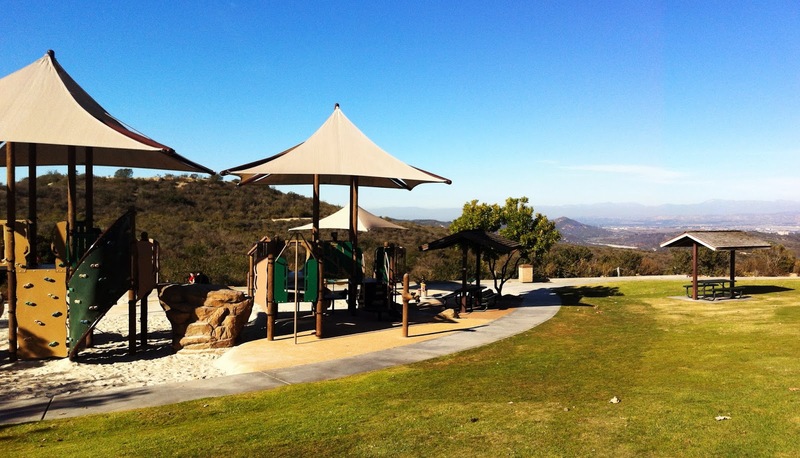 Alta Laguna has a playground for the kiddies, tennis courts, restrooms and an absolutely amazing birds-eye view of the beach. It’s also a great jumping off point for some of the best mountain trails in Orange County. If you plan on heading up to Alta Laguna for some mountain biking, you can park your car in the parking lot or on the street. You pick up the West Ridge Trail at the locked gate at the end of Alta Laguna Blvd. 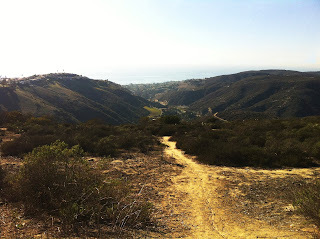 The West Ridge Trail is a wide, hard packed, dirt trail that snakes north, paralleling Laguna Canyon Road far down in the canyon below. The trail is in great shape and its wide enough to bomb the steeper sections at full speed. The trail is mostly downhill from Alta Laguna, so be prepared for some rigorous uphill riding on your return trip. There are several side trails that connect to Wood Canyon Trail at the bottom of the canyon. If you plan on riding all the way to the bottom to Wood Canyon, I would highly advise a two car shuttle to drive back to the top, unless you really want the exercise. If you don’t want to ride all the way to the bottom, you can follow the West Ridge Trail from Alta Laguna Park for 1.5 miles and turn around at the water tower. The return trip from this point is not nearly as grueling as riding all the way to the bottom. Be sure to bring sunscreen and plenty of water because you will be completely exposed to the sun on the trail. From Route 1 in Laguna Beach, turn onto Legion Street. In a quarter mile, merge right onto Park Ave. Continue uphill on Park Avenue. You will come to a few confusing intersections and stop signs. Just keep on Park Ave. After 1.3 miles, make a left onto Alta Laguna Blvd and follow it for a quarter mile to the end. The park and the mountain bike trails are impossible to miss.